We are proud to announce that we became a member of the AFCEA Czech Chapter. Active membership in this international organization will help us develop events focused on cyber security, armed forces information and communications technology, SCADA, and other areas relevant to our clients. The AFCEA Czech Chapter, which has (in March 2019) 29 corporate and 140 individual members, very closely cooperates with Ministry of Defence, General Staff of the Czech Armed Forces, Ministry of Interior, National Cyber and Information Security Agency and Intelligence services. The chapter has three active working groups, one is focused to Cyber Security, the second to Inhabitants Protection and the third to Intelligence services. In 2019, the chapter will organize conference Signal Corps 2019 in Libavá (military training area of the Czech Army), many seminars, workshops and round tables focused on Cyber Security and Defence. One of the biggest activity is organizing of the 3rd year of the competition for secondary schools in Cyber security. 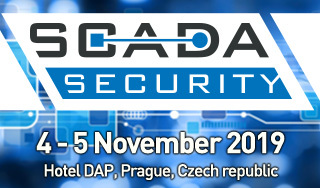 Another significant activity is connected with SCADA Security Conference (held in November 2019 within the FUTURE FORCES FORUM events) - AFCEA is a guarantor of the conference main program as well as accompanying activities (round tables with intelligent services, rescue services etc. ).